String curtains never go out of fashion, the threads are knitted hanged in strings, which gives luxurious look and they are flawlessly adorned. These are cost efficient. 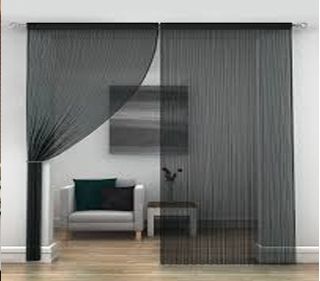 These curtains are suitable window room divider, patio bedroom and door, restaurants, cafes, weddings, etc. String curtains comes in thread, beads, crystals and multiple colours option.